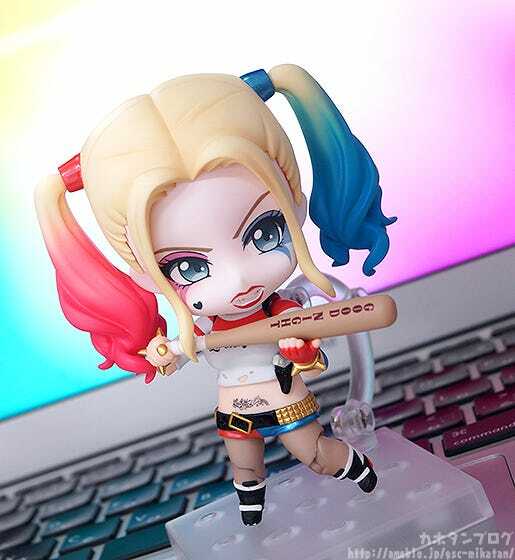 Nendoroid Harley Quinn: Suicide Edition! 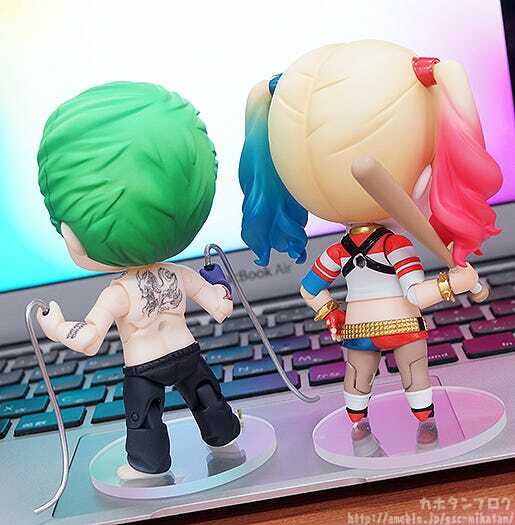 From the movie ‘Suicide Squad’ that follows the story of dangerous, incarcerated supervillains that are put on a top secret mission comes Nendoroids of two of the supervillains from the movie! 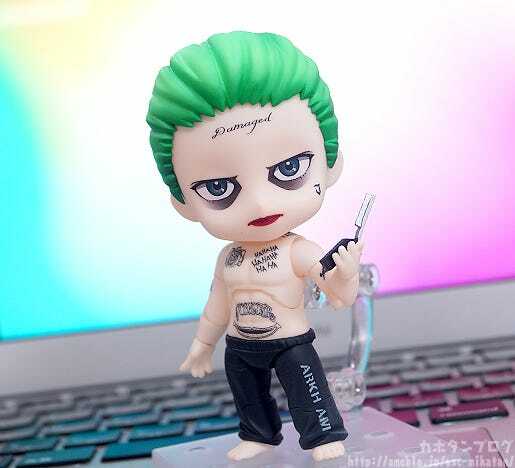 His pale, thin body, black eye-shadow, bright green hair and strangely red lips… the Suicide Squad version of the Joker has been transformed into Nendoroid size! 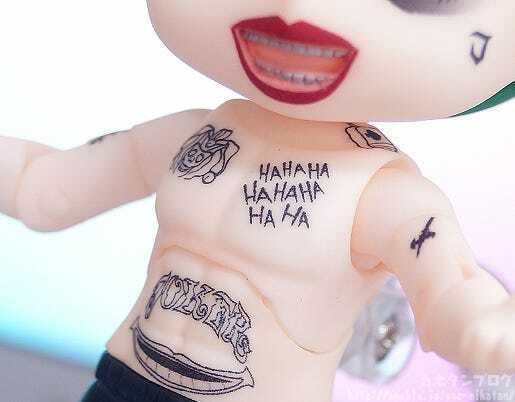 Even the various tattoos all over his body and face have been included on the design, so be sure to take a nice close look at all of them once he joins your collection! 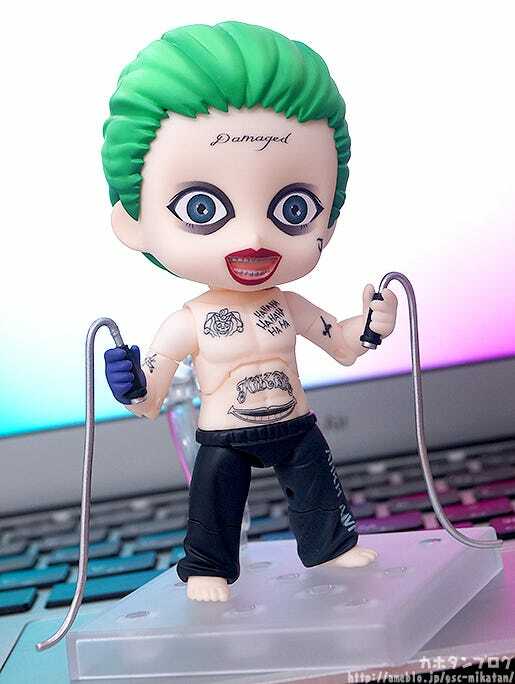 While the design of his body is very slim, you can still see he also has a bit of a muscular build with his chest and abs… even on the Nendoroid design! 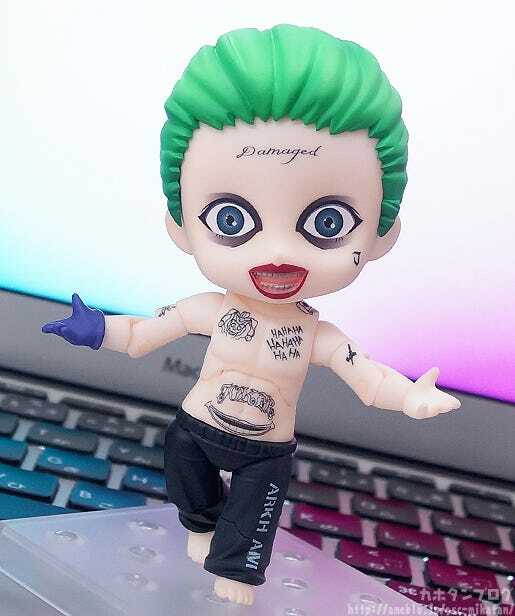 The stomach area also has a special movable part that easily allows you to bend the body in various different ways for some great poses! 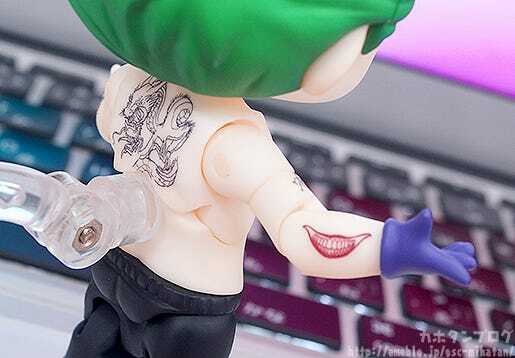 ▲The cute little razor is… rather scary! ▲ The electroshock tools are also included! 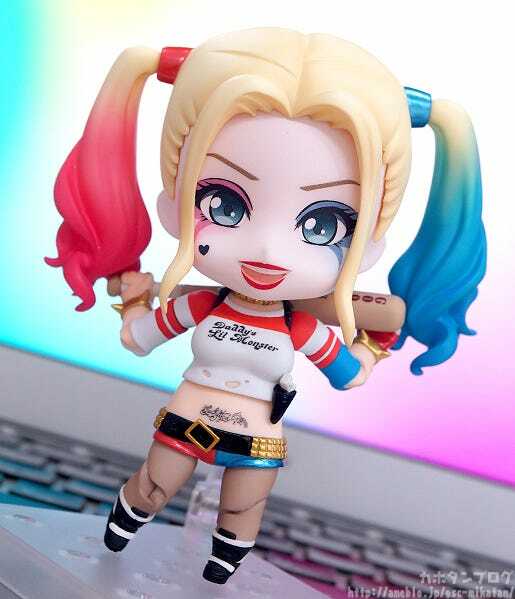 From the movie ‘Suicide Squad’ comes a Nendoroid of the cute, crazed supervillain – Harley Quinn! 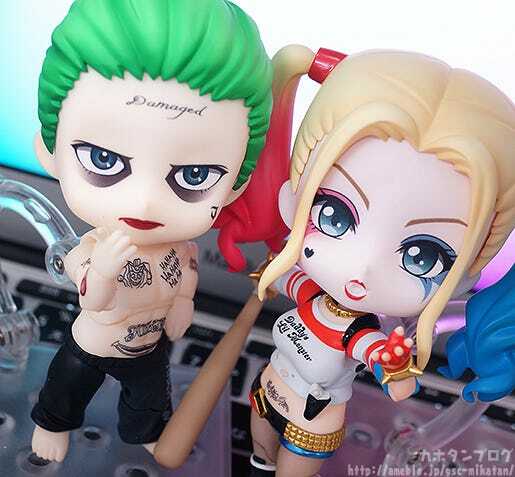 The Nendoroid has carefully captured all of Margot Robbie’s charm while still keeping to the cute Nendoroid design making her one of the cutest Nendoroids ever based on a live action movie character! 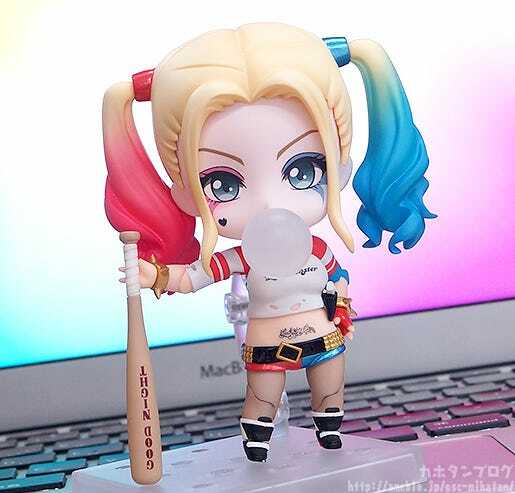 The figure is also fully articulated allowing you to easily place her in poses that come straight out of the movie as well as create your own original poses – she also comes with a baseball bat to recreate combat scenes! 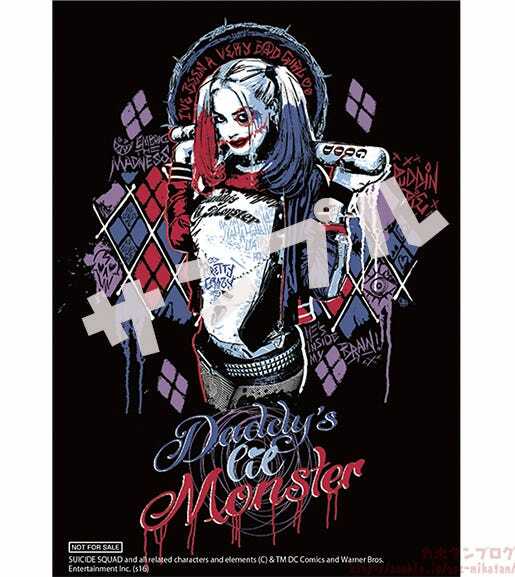 Be sure to add her to your collection and enjoy the crazy Harley Quinn by your side! 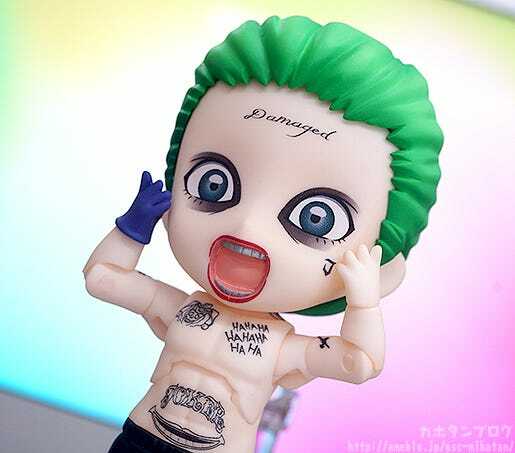 The crazed supervillain in Nendoroid size! 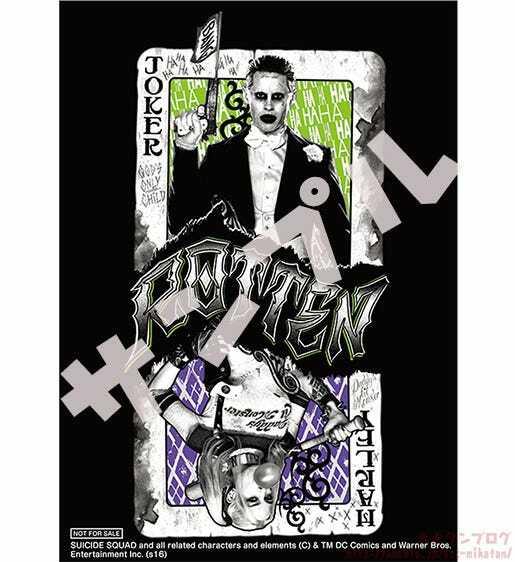 ▲ Plus that make-up is just so cute! 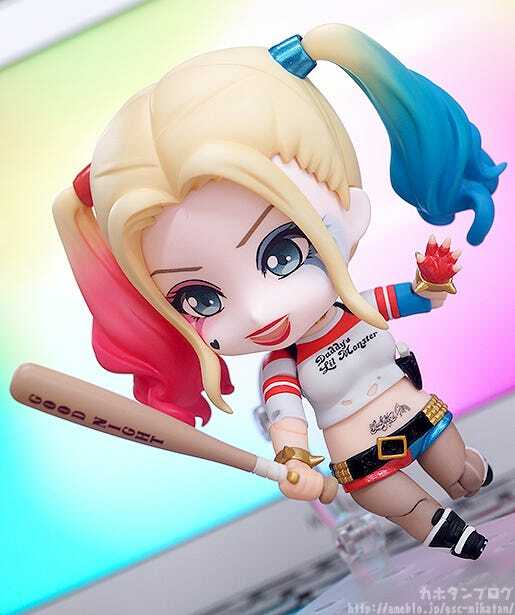 Last but not least, she also comes with this rather angry looking expression which when combined with the included baseball bat makes her look ready to go out and whack whoever might be in front of her!